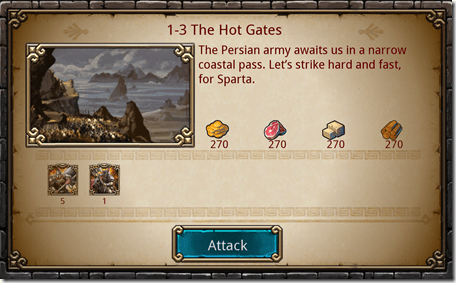 Запись опубликована в рубрике Spartan Wars, Экономические Стратегии с метками English, IOS, Ipad, MMORG, Spartan Wars, Игры, Стратегии, Хитрости. Добавьте в закладки постоянную ссылку. Just a little confused in your example your calculator shows 18 but you used 8 with no losses. Is this from the gods? Well, in calculator I did not enter my god, researches and etc. I need to know just what unit I should use. 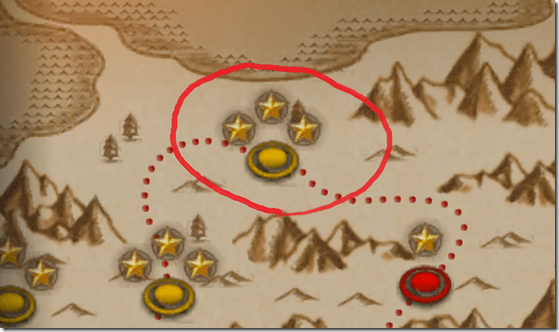 How do we use the calculator for the conquest mode? 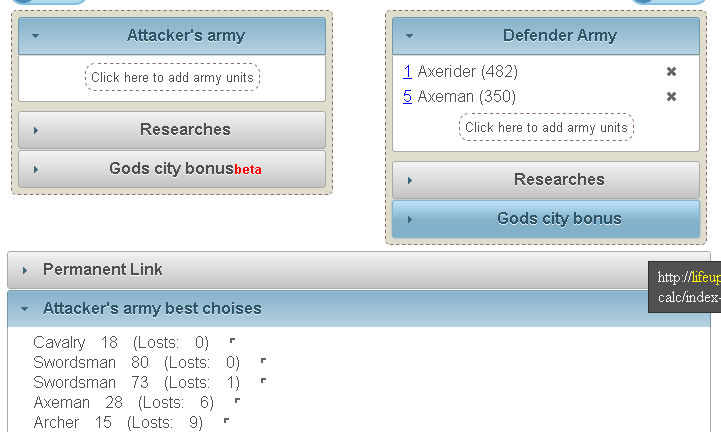 Because there’s a limit for dispatching unit, so it’s impossible to achieve 3 stars while losing no troops when the enemy has large army. When I use your calculator, there is some missing, for example, against 3000 swd, 1500 spr, 1000 axe, I could use 750 archers for 3 stars, and lost around 70 archers. 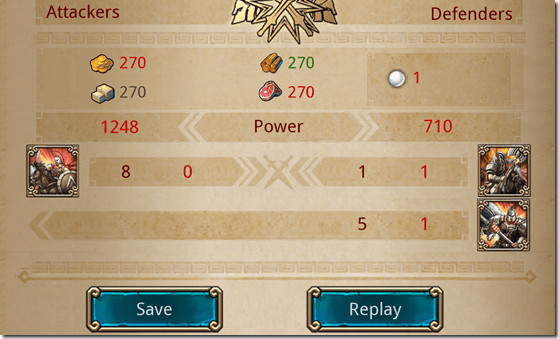 With your calculator, it said that 750 archers cannot win.